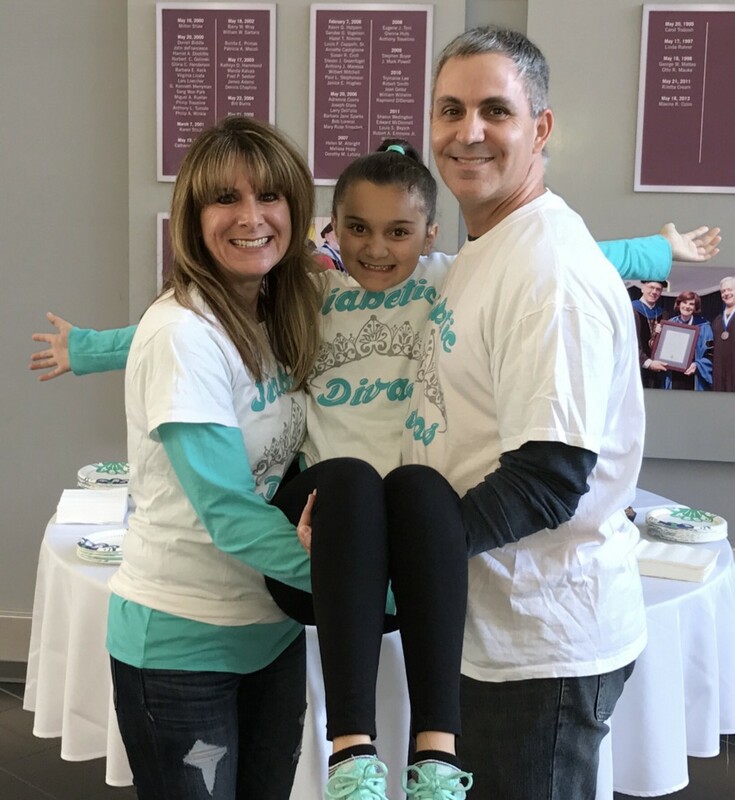 Special to The Sun: Isabella Elentrio is held up by her parents Dana and Tom Conte at last year’s JDRF One Walk. One month before her fourth birthday, Isabella Elentrio of Washington Township was diagnosed with Type one diabetes. Her mother, Dana Conte, remembers it very vividly. “I had been on my honeymoon, we came home that Sunday, which was Oct. 2,” Conte said. She described Isabella as very lethargic, quiet but attached to her. Over the weekend, Conte was informed Isabella was using the bathroom frequently, this led her to call the pediatrician. The pediatrician said to keep a log of how often Isabella drank and used the bathroom and to call back at the end of the week. Conte kept the same routine on Monday, she took Isabella to dance class. The next day she returned to pre-school and Conte asked Isabella’s teacher, Ms. Michele Biscardi, to keep the aforementioned log for her. When Conte picked Isabella up, she saw Isabella drank 80 ounces of fluid and used the bathroom more than 20 times. She called the pediatrician that night and booked an appointment for the next day. At the pediatrician, Isabella had her sugar tested — it came back high. From there the family rushed to Children’s Hospital of Philadelphia. Isabella was diagnosed diabetic on Oct. 5, 2011. 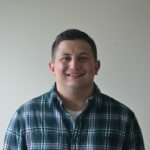 “For the next three days, we went through training on how to give an insulin shot, test sugar, count carbs,” Conte said. Luckily for Conte and Isabella, her teacher had a daughter who was Type 1 diabetic. Conte added she and Ms. Michelle are still friends to this day. She mentioned that Isabella’s school nurse, Valerie Mallon, has not only been a huge help, but a special person in their lives. Isabella is currently a fifth-grader at St. Mary’s in Williamstown. She is active outside the classroom, participating in dance, volleyball and cheerleading. Isabella is a practitioner of many different kinds of dance: jazz, tap, hip-hop, musical theater, ballet, contemporary and cheer dance. She added her favorite subject in school is language arts. Her mom chimed in she is an A-plus student to boot. When asked about her diagnosis, Isabella had a good outlook to the situation. Besides a cure, Conte wants to raise awareness. A quick example in reference to Conte’s point — a common misconception about diabetes is not being able to eat sugar. Conte said that’s not true, one of the most important things is monitoring carbohydrate intake. Diabetics have to measure their food and count the carbohydrates in their food to ensure they get the proper amount of insulin to regulate themselves. Despite having all of these extra steps to their day, it has become second nature to Isabella and her family. When the interview was over Isabella had one more thing to add. “Don’t stop believing,” she said. The JDRF One Walk takes place on Oct. 28 at Camden County College in Blackwood, check-in starts at 8 a.m., and the walk will start at 9:30 a.m.
Those wishing to donate on Isabella’s behalf can do so at the following link: www2.jdrf.org/goto/isabella.